Fall is one of my favorite times of year. I love the cooler weather, the crispness in the air, and all the colors and scents of the season. I also love all the seasonal fall foods, particularly squashes. Baked squash is a favorite side dish of mine, especially bourbon maple roasted squash. It just doesn't get any better than this. It smells amazing while cooking, too! Place squash cut side up in the baking dish. Fill the center of each squash with 1 teaspoon each of butter, maple syrup and bourbon. 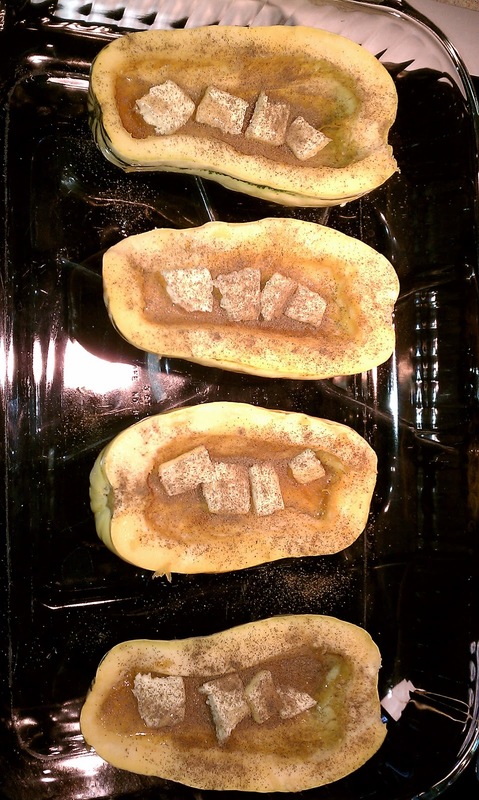 Sprinkle the tops of each filled squash with allspice. Cover baking dish with foil and bake at 375 for 40-45 minutes.